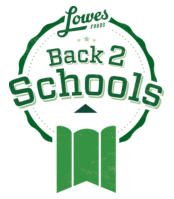 Go to Lowes Food Back 2 Schools page to learn about the program. Link your Lowes Fresh Rewards Card to Hilburn Drive Academy. Participating private label/store brands: Lowes Foods, Full Circle, World Classics, Academix, Domestix, Electrix, Better Value, Top Care, and Paw Premium. What aditional shopping rewards programs help my school?